I must confess that my relationship with bladed weapons has been through some rocky periods. There have been times where I was highly enamored of them, and times when they have seemed so contrary to my philosophical leanings that they have repulsed me. As a young boy I had (as many young boys do) a fascination with blades of any kind. I was seven when my father bought me my first hunting knife. The memory of this event is probably one of my most treasured. I was walking with my father through the old part of Belgrade on a cold winter’s morning. It was December 1973, Tito’s regime was in full swing and government borrowing had given the old Yugoslavia a temporary sense of wealth. Still, the creaking edifice of communism conspired to give the (relative) affluence of that country a tacky, government-orchestrated quality. It was “faux Westernism” and even as a child I could tell it suffered badly by comparison. The modern apartment buildings that had mushroomed out of the former swampland in what became known as “New Belgrade” had a uniform, de-humanizing dreariness, imposed on the ancient landscape with all the subtlety of a “Workers Unite!” poster. But at least the shops were stocked and society ran (at least on the surface) in an apparently orderly, if utilitarian and clunky, manner (a bit like a Jugo car!). But here in the old part of town, time seemed to have stood still. The modern concrete monoliths were out of sight and mind. Breathing in the coal-dust lingering in the morning air we took care to avoid slipping on the icy cobbled footpaths and squinted as sharp light crept in between the stately, if decaying, buildings. I wasn’t sure where we were going or why. My father was a man of few words, often lost in his own mysterious thoughts. I remember it was a Saturday and everything was largely closed, yet he seemed to be making a bee-line for a particular shop in a side-street. There, sheltered between two grimy, skeletal plane trees, was one of those little pre-war businesses that somehow survived communism by keeping a low profile under a fading cursive sign. It sold, sharpened, repaired and serviced knives and other bladed implements. An elderly man was opening up as we arrived. He nodded curtly to my father and ushered us into the stale, smoky warmth. It took all of a couple of minutes and we emerged - me holding in my hands a most-prized new possession: an exquisitely crafted, classical hunting knife, complete with a stag antler handle. I remember it being large, but it was almost certainly on the smallish side - just right for my child-sized hands. By today’s standards it was not exactly a “politically correct” gift for a young child. For one thing, it was razor sharp. But it was exactly what I wanted - even though the thought of having my own knife had never occurred to me. My father was adept at reading my mind (even though his remained inscrutable to me). Fast-forward a couple of decades and you see a very different picture. 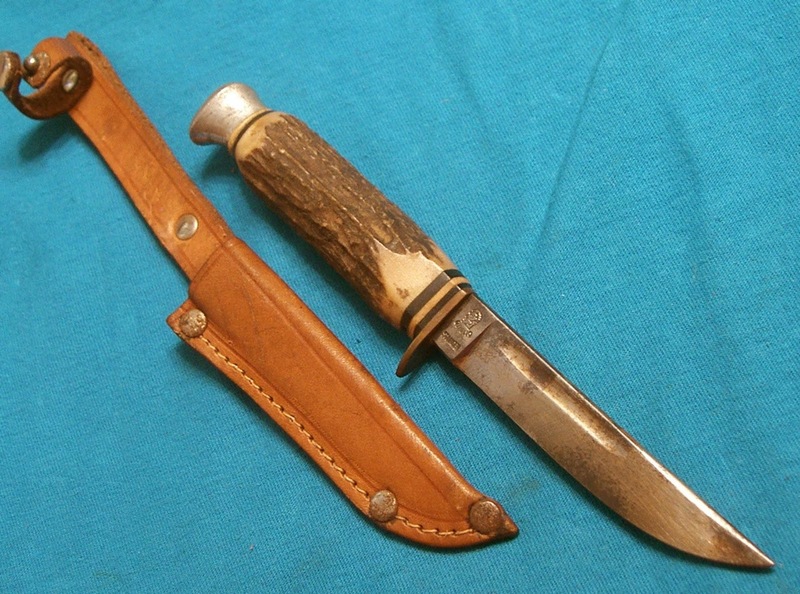 Gone was that wide-eyed young boy, and gone (in fact, stolen - only 2 months after my father bought it for me) was the treasured hunting knife. I was an experienced weapons artist - but one who eschewed anything with a blade. Yes, I studied Japanese kenjutsu (Japanese sword arts) with my instructor, Bob Davies. But I stuck with my trusty bokken (wooden sword). It would never have occurred to me to buy a full-blown katana (nor even a replica). Ditto with my study of the kama (sickle, from Okinawan kobudo). 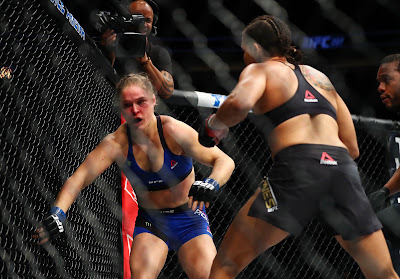 And it is fair to say that while I studied Filipino knife fighting from arnis/escrima/kali, I did so under sufferance. I found the whole idea of slicing bicep tendons and burying a knife up to its hilt into kidneys disconcerting, to say the least (in fact, I made a conscious effort not to record the details of those particular techniques and drills). Part of the reason for my distaste for blades had arisen from my work as a prosecutor. Many of the grievous bodily harm and murder cases I helped prosecute involved knife wounds. Australia does not have a gun culture and I can’t recall having anything to do with a single gun-related case. But knife woundings and killings were commonplace; not “dime a dozen” but there were certainly many. Inevitably in my professional life I would have to survey photographs from the crime scenes showing the injuries sustained through knife attacks. There is something at once surreal and deeply humbling about seeing the human body cut up; the sliced skin wrinkling at the edges, the surprisingly yellow and deep layer of fat underneath and the innards exposed to the world. You see the vulnerability of the human body - and the true extent of our mortality. It is enough to make anyone feel a certain existential angst. I remember watching Braveheart at around that time and wanting to walk out for most of the film (I didn’t). It seemed to me that there was something particularly immediate, confronting and distasteful about cutting someone with a blade, never mind killing them with it, whatever the circumstances. So while I’d always been a strong proponent of civilian defence, bladed weapons had lost whatever mysterious appeal they had held for me. I respected friends and colleagues who purchased swords and knives. I even admired the workmanship and beauty of these implements. But I didn’t feel any desire to own one myself. They had an element that was to me, quite frankly, off-putting. 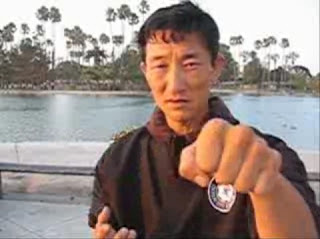 Then in 2005 I made my first trip to train with my teacher, Chen Yun Ching. 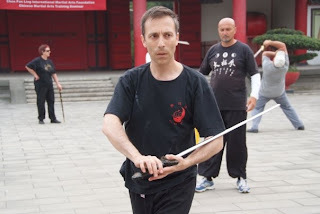 I was told we would be studying the taiji jian during part of the course. Happily my brother-in-law had two practice jians (both made of unsharpened metal) which I loaded into an empty guitar case, and off I went. In 2009 I purchased a collapsible practice jian which went with me to Taiwan (and which I’ve used ever since). It is fair to say that until this year, the thought of buying my own real sword never entered my mind. After all, I had studied the jian with some degree of resistance. 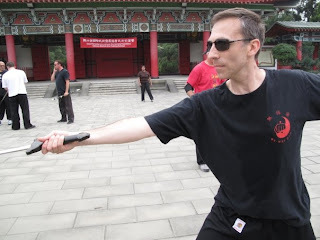 It was almost out of obligation to Master Chen that I had persevered: I’d promised to learn and preserve the Chen Pan Ling system and accordingly I was going to do it, swords and all. when it wasn’t like a dance, it was, well, nasty. But I persevered. I got used to the idea that studying the sword would be part and parcel of my martial background. Just as I had studied the bokken, I would purchase and use a wooden jian - one that couldn’t be used to slice people open. Then, just this year, things started to change. 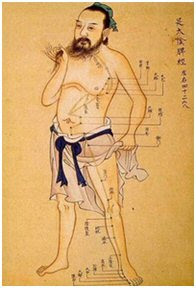 In preparation for my visit to Wu-Lin, I decided to revise the Chung Yang form. Nagging at the back of my mind was the feeling that, as the “least favourite” item of my study, it had been wrongfully neglected. 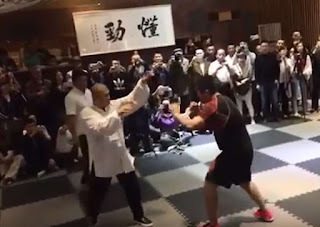 Indeed, I had felt embarrassed when called upon to demonstrate this form in previous visits to Master Chen, hoping my uncertainty and lack of practice was at least to some extent disguised by the fact that I was demonstrating it as part of a group (I doubt that it was!). So out came the collapsible sword. After a shaky start, I was surprised by how much of the detail came back - and how quickly. Soon I was teaching my own students. The more I practised, the more confident I became. And then an amazing thing happened: I started to see the beauty of the jian. I’m not talking about the physical beauty of the weapon itself; it’s symmetry and elegant simplicity. 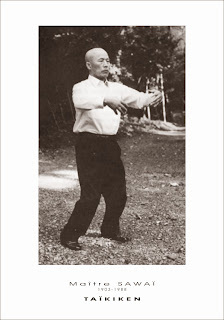 Nor am I talking the lithe, flowing movement associated with jian forms. Rather I abruptly became aware how, when used with the appropriate skill, the jian seems to become part of the body - a mere extension of the hand. I became aware how the traditional forms explored this feature while simultaneously mapping and addressing attacks on every plane/dimension. And it did so with a profound grace and economy that I’d never fully appreciated. So the beauty of the jian has nothing to do with a “dance”. Yes, this beauty does relate to form; but, more importantly it also relates to function. In short, the jian is the meeting point of style and substance. The movements might appear to be “dance-like” at times, but this arises from efficiency and “whole body” utilization of the weapon. 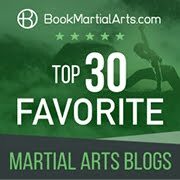 the Filipino arnis/escrima/kali baston - with its intricate wrist flicks, fast conversions and simple, brutal efficacy. “But,” I hear you ask, “it still has a blade! What about your philosophical aversion to cutting people?” Am I not being hypocritical - like a vegetarian guiltily sneaking a bite of a barbecued sausage? First, there is no denying that any bladed weapon, when used against a person, is going to cause some rather horrifying injuries. But, to some extent, all fighting is like that - ugly. The sword just happens to be the “king” of all melee weapons. Understanding the power of this weapon does not undermine its beauty. Rather its power defines its beauty as well as its ugliness. They are two sides to the same coin. In much the same way, we humans all have to come to grips with our potential “darkness”. We can try to ignore it, but it won’t go away. In order to learn to manage conflict, we must truly understand it. And to do that, we must embrace our own violent nature and accept it for what it is. In this respect, I’m arguing something much the same as I argued in my essay “Yin and yang: vulnerability, worry and the martial arts”. Just as in order to find security you must, paradoxically, embrace your own vulnerability, in order to find peace you must embrace the full extent of your own violent potential. And violence doesn’t get more personal, immediate and elemental than fighting with a blade. In short, making an art form out of the worst, most ghastly, means of fighting can be a means of ensuring peace in your own life. By contrast, ignoring your violent potential is not going to make it go away. And we all have that potential, even if it only ever manifests with cutting words (pun intended). Saying “I am not a violent person” is either misguided or a pretence. We are all, by nature, violent. 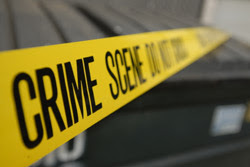 Understanding how and why we are violent brings one step closer to understanding (and preventing) violence in others - whether this is through predicting their actions or minimizing our own involvement in a cycle of escalation. I always find it profound to think that martial arts like taiji (which involve some of the most brutal applications I’ve seen) are used as a means of achieving inner peace and health. 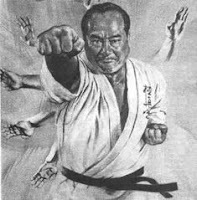 There is both a philosophical and poetic beauty in the “paradox of the martial arts”. Accordingly, logic should tell us that a study of the most violent personal act of all - cutting someone with a blade - is not incompatible with the goal of peace and goodwill, provided the study occurs with the right motivation and in the right context. The jian is first and foremost not a weapon of war! Instead, it is regarded as a “gentleman’s” (and “lady’s”!) weapon of civilian defence. It has not been a military weapon in China since just after the end of the Bronze Age. Why? Put simply, it is light and small - too light and small to be of any use on a battlefield against bigger, heavier weapons. 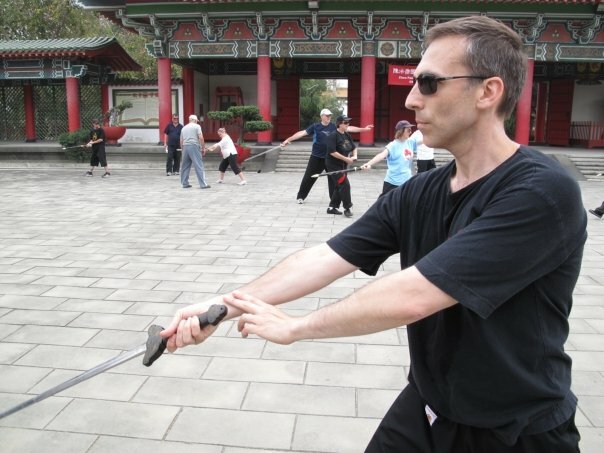 Unlike the Chinese dao (single-handed saber) and dadao (two-handed saber) (both used by the Chinese military) or the Japanese equivalent, the katana (also a military weapon), the jian is straight and double-edged. This means it is not optimized for cutting, but for thrusting. Optimization for cutting requires a curve. And a curve often (though not always) 1 leads to single-edged weapons. It should come as no surprise that on the battlefield, melee range weapons are best employed in terms of the former, ie. cutting/slashing with an edge. Being able to thrust with the point is, at best, an adjunct use. What makes me say this? First, in order to maximize force from a weapon, you need to ensure it has sufficient length and mass to ensure practicability (while taking care not to increase either length or mass too much so as to compromise your mobility). As I’ve discussed, a jian is too small and light to be used against other battlefield weapons. 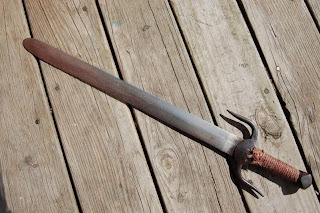 Second, once you are dealing with swords of sufficient length and mass for battlefield use, thrusts/stabs will necessarily apply much less force and have far less injury potential than cuts. This is exacerbated if your opponent has any kind of protective gear (never mind armour). If you doubt me, contrast a stab using a katana with a diagonal cut using a katana. The larger and heavier the weapon, the more the relative importance of cutting increases. By contrast, if you are fighting with small bladed weapons, eg. knives, the balance shifts towards thrusts/stabs: cuts and slashes are really not the mainstay of knife fighting.3 I know this from my own training in the Filipino martial arts and also from my prosecutorial experience. Stabs are the mainstay of knife fighting, as these are what inflict the greatest injury. Knife cuts/slashes are principally used to set up, and as an adjunct. By contrast, on the battlefield, where you would be wielding a large blade, the balance shifts squarely back to cutting/slashing. 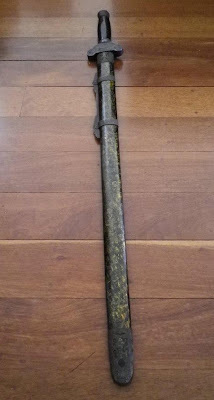 In this context, one can see how the dao/dadao/katana with its curved, single edge became the preferred military sword in China.2, 3 The straight sword wasn’t effective enough. If you wanted to stab or thrust, you would use a longer range straight weapon - ie. the spear. Or you might use arrows (another “straight” weapon). In battle, these longer range weapons (ie. spears and arrows) are straight; melee weapons are curved for cutting. In battle your primary motivation is to injure. Everything is optimized for that task. In civilian defence your primary motivation is to not be injured. Everything is optimized for that task. Accordingly, for soldiers (who are expected to focus on attack and who are individually largely expendable) the use of a sword that yields maximum force and damage in the melee is going to be preferred. Civilians who want to defend themselves are going to adopt more conservative tactics - tactics aimed at preventing them from being injured rather than causing injury. Yes, the end result might well be the use of deadly force. But that is not the primary motivation. And, as I’ve discussed previously, this change in primary motivation subtly, but significantly affects the dynamics of the fighting. 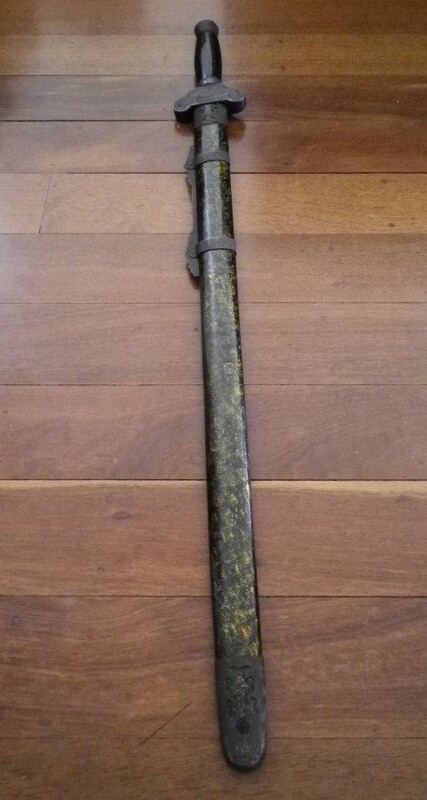 How is the jian used? As a straight, double-edged sword, it is employed primarily for thrusts/stabs. As noted, these do not apply as much force as cuts and slashes in a weapon as long as a sword. But against another civilian who is unlikely to be wearing any form of armor or other protective gear, how much force do you need? And if your goal is not to get injured, you will want to use conservative counters - ones that leave fewer openings even if it means not dealing a killing blow. I have previously argued, at length, that it is this philosophy that underlies the straight punches of traditional civilian defence arts like karate and Chinese gong fu. Yes, they don’t impart as much force as a boxer’s punch; but they also don’t leave as many openings. They simply aren’t designed for the a sports arena or military mindset. So what do you get with a jian? 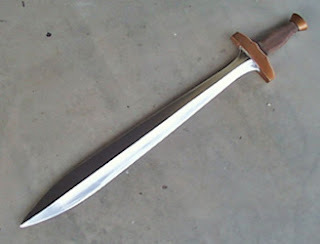 A fairly short blade (27" to 31" long) that is straight and that is double-edged. This allows you to thrust out at a civilian attackers and keep them at bay. It also allows you to stab them if you need to. And it allows you to cut them: just because the jian isn’t optimized for cutting doesn’t mean it can’t be used for this purpose. But remember - your goal isn’t to cut your attacker “to death”. Your goal is to not get hurt. What you do in defence should be whatever is necessary and no more. If you can disable an attacker without killing, that is preferable from a civilian defence perspective. Accordingly many of the cuts of the jian are aimed at disabling the opponent’s limbs, not imparting deadly force. The jian is traditionally made so that the bottom third is fairly blunt. The middle third is a bit sharper and only the top third is very sharp. What this means is that the lower half of the jian is designed for deflection/parrying/blocking. Indeed, my analysis of traditional jian techniques reveals sophisticated deflections and parries (which double as drawing cuts using the top third) that set up disabling counters comprising thrusts and cuts (often aimed at major tendons). The fact that approximately half the jian is, in a sense, physically dedicated to defence and the other half is dedicated to offence speaks volumes of its intended use as a weapon of civilian defence - not war. Accordingly the jian is a bladed weapon that accords entirely with my general aversion to bloodshed - precisely because that is not what the jian is all about. It is not about war. It is about peace. It is about self-protection. It is about ensuring your safety while doing only as much harm as is necessary in the circumstances. So here I am, after all these years, finally satisfied that there is ample reason to study the jian and, on a broader level, happy once again to own a bladed weapon or two (see my next article for a run down on my swords, one of which - my antique - is pictured at the start and end of this essay!). No amount of horror at the gore of actual sword-fighting militates against this. Jian practice is an exercise in the study of peace - paradoxically by using a weapon that is highly dangerous. And even if you never have to use one in civilian defence (for I think it is unlikely for that circumstance to arise except in a home invasion where you happen to have the sword right next to you), the very nature of studying the most violent personal weapon (aside from the firearm) is an exercise in studying conflict. After all, most of us don’t train only out of an expectation that we might need to use our skills. 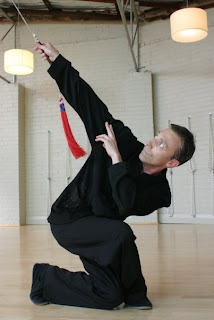 We also train for a wider purpose: art, fitness, health - or perhaps just “gong fu” (skill attained through diligent effort). Furthermore I believe we should train to understand our own inherent violence as human beings so as both to manage our own role in conflict and diffuse violence in others. Have I overcome my uneasiness about swords? Not entirely. Let’s just say that I’ve converted it into a healthy respect - a kind of reverence. Blades are not “evil” - they are just tools. In particular, the jian is very clearly designed as a tool of civilian defence, not war. Accordingly it is “right up my alley”. While I might remain squeamish about the (largely abstract) thought of actually having to use swords in fighting, I don’t have any lingering philosophical or emotional antipathy towards them - especially the jian. That is the true spirit of the jian. 1. Notable exceptions to the double-edged blades being straight include the Greek hoplite sword, which was leaf-shaped. This design improved the cutting potential of the sword while retaining the double edge. The cutting potential was still not as effective as, say, a katana (which represents the pinnacle in cutting design) but it was nonetheless a good compromise. It should come as no surprise that similar curves exist on double-edged battle axes. 2. 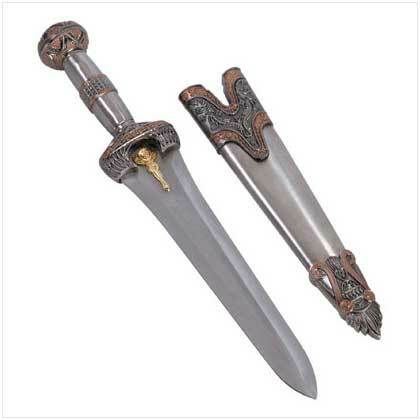 And yes, I know that the European broadsword was also a straight, double-edged sword, but its double edge seems to have been, at least in part, a product of fighting the armoured fighting environment of the middle ages. It was optimized for something other than pure cutting and in no way establishes a case for the superiority of double-edged straight swords for cutting. I'm told by aficionados of the medieval European long/great swords that they are very good cutters and that they are much maligned when compared to the katana (which has its own drawbacks). However saying that the European straight swords are reasonably good cutters is like saying that the jian is a good cutter. They all are. They just aren't optimized for cutting. If they were, they would have a curved blade. Every sword has to make concessions based on the environment in, and purposes for which, it is likely to be used. 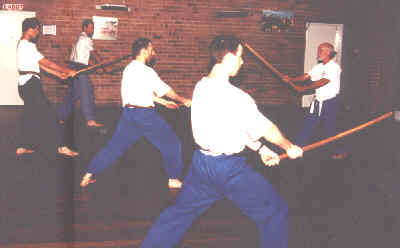 In the case of the broadsword and jian, some of the cutting ability was sacrificed for other purposes (having two edges for alternative cuts while simultaneously optimizing thrusts). 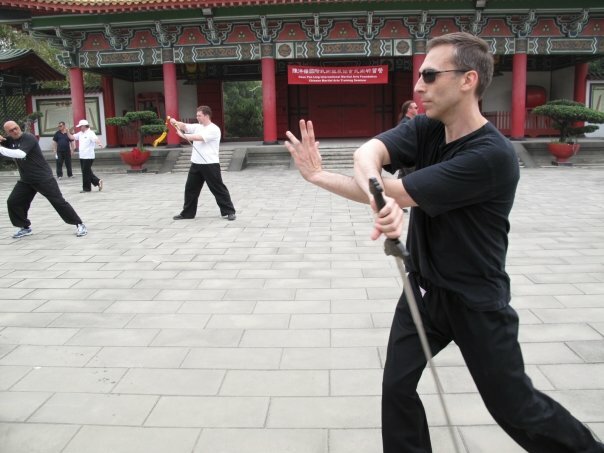 The dao/dadao and katana not optimized for these purposes. As a colleague of mine on the Traditional Fighting Arts Forums reminds me, there is no such thing as a "perfect sword". 3. Other straight swords, such as the Roman sword, were very short weapons, used only if a phalanx broke down. As I note above, the shorter the bladed weapon (eg. a knife) the more the balance shifts to using it for thrusting/stabbing and the more the premium shifts to having a straight, double-edged blade. Accordingly the Roman sword was essentially a compromise, “jack of all trades” weapon, comparable to early Chinese double-edged battle swords, developed before sword technology had advanced greatly. In particular it is worth noting that the Roman sword predates by at least 7 centuries the technology of controlled re-heating and rapid cooling of swords during the forging process (which makes the blade much stronger and permits increased length and mass). This is an excellent article. My personal study is kenjutsu and Destreza (Spanish rapier), and the comparisons you draw about the jian apply equally well to the rapier, another straight double-edged thrusting sword intended for civilian defense. I've given a lot of thought to the philosophical implications of training with a sword. In my mind, the principal difference between using a sword and fighting unarmed, or even with a weapon like a staff (and I love the jo too!) is that a sword is almost always lethal, or at the very least permanently disabling. It's very difficult to strike someone with a sword and not at least sever some important tendons and ligaments. In the period when they were used, this sort of wound would guarantee permanent disability at the very least, and frequently would be lethal (from infection if nothing else). In my opinion, this imposes a certain responsibility on those who study such weapons. It is incumbent on us to treat these weapons as seriously as a policeman treats his firearm. A perfect complement to my essay - thank you Aaron. Ugh...I hate that Katana/Euro video. as anyone in the sword community will tell you they are both very poor replicas wielded by a man who has no idea how to use them and it does a disservice to your otherwise excellent and well presented blog. Anyways, the cutting ability of a blade has very little to do with whether or not its straight or curved, and more to do with such things as blade geometry and technique. European blades from the earlier middle ages had a similar blade shape to the Jians you show..broad bladed with a spatulate tip. The physics of the blade made them superb cutters while still being light. (In fact, viking and migration era german swordsmiths are amongst the finest swordsmiths in history. Blades like the Bamburgh Blade were a stunning tour de force). As technology advanced purely cutting swords grew less effective. The straightbladed sword evolved to match, with a more acutely pointed tip and a diamond shaped blade geometry. Unlike the common idea of crude 10 pound iron smashers, these swords weighed about the same as katana, but were several inches longer, employing sophisticated techniques of distal tapering to preserve strength while reducing weight. They were never used to attack armour with, and doing so would damage the sword. Like all swords, there were intended to cut flesh. They were not used to beat on armour..if you wanted to beat on armour you used a pollaxe. And indeed the pollaxe was the battlefield weapon of choice for the knight. if you were fighting a man in armour, you gripped the sword like a small spear, with one hand on the handle, and the other hand part way down the blade. 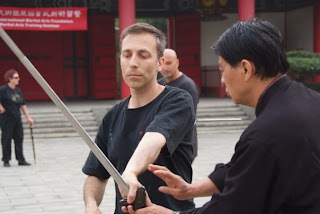 With some training you can do this very easily with any blade, no matter how sharp.Then you got in close and grappled using Kampfringen or a related art. Rather than simply hacking away in futility, the sword was used as a lever to break joints, or the crosspiece as a mace or knuckleduster. You tried to expose the seams of his armour to thrust the sword into, or to break his joints and throw him to the ground. This style of fighting is called Harnischfechten. 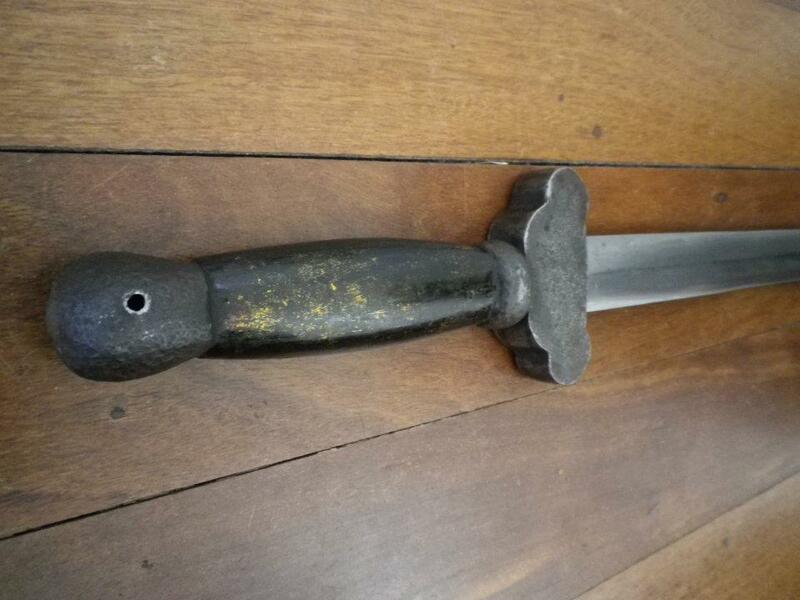 As an aside, curved blades were very common in Europe, and came under the name of Messers. 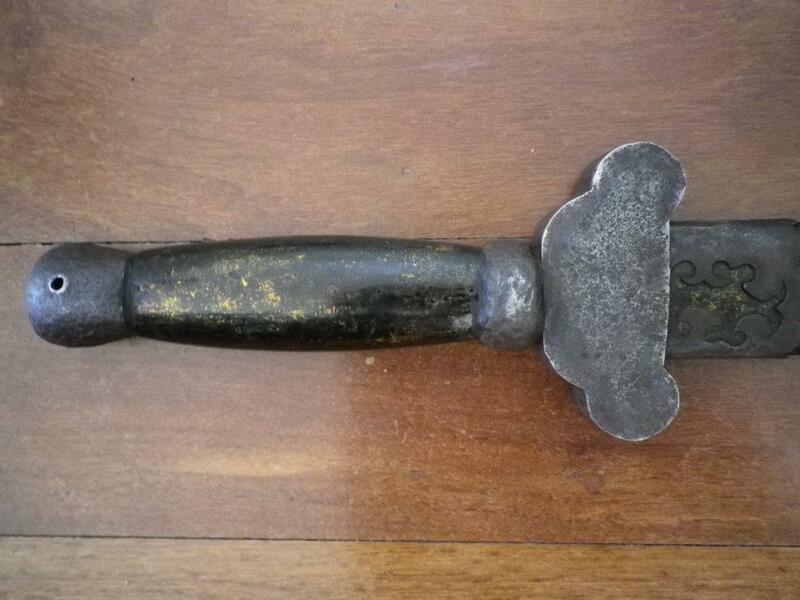 The two handed Kreigsmesser looks like a Tachi with a western crosspiece. Thanks for your thoughts. I don't think the video is particularly good either, but I do feel that, all things being equal, a curved blade is better for cutting. I also adhere to the view that the katana represents the pinnacle of sword technology. Thanks again! "terms of the latter, ie. cutting/slashing with an edge." I think you got that reversed. The rest I posted on my blog. Reference changed to "former". Thanks. Ymar, your blog comments are interesting but one misapprehends my point about "not being hurt" vs. "hurting" as primary motivations. Clearly, once you are in a life and death struggle there will be no difference (or should be no difference) in one's tactics (except once you've incapacitated your opponent - in war you might proceed to kill, while in civilian defence you stop when you've done what is necessary). I never advocated "just defending once you've been wounded" or anything similar. In fact, I specifically mentioned the use of lethal force in civilian defence. I guess what i'm hoping to do is point out the idea that euro blades were intended for armour bashing is a myth. All swords are the result of a feedback between design and technique, one feeding into the other in a loop. The Japanese decided on the nihonto shape because it originated as a cavalry sabre, and curved weapons have advantages when used from horseback. The Samurai after all got their start as light cavalry skirmishing with mounted emishi raiders. Once they found a design they liked, they stuck with it and developed their arts around it. Euro blades had a different origin and they evolved to use different techniques. Tecniques such as false edge cuts and certain winding techniques that take advantage of the second edge. Both both swords were intended to be used on flesh, not metal. I study two sword arts, one is haedong gumdo which uses a Katana, the other is Armizare which uses a two handed longsword from the late 14th century. You need to use different techniques to cut, because the sword shape is so different. With the Katana I was taught to cut with the end. Katanas aren't distally tapered, and with the clipped edge, it cuts very well with the tip. The design allows it to slide through without much problem. The Euro sword I use is the same weight as a Katana, but about 10 inches longer. It's blade is broader, but narrower and tapers in profile and distally. As a result it carries less mass at the tip and does not cut efficiently at the tip. However, these swords were intended to cut a little further down the blade nearer to the point of percussion, and here it cuts very well indeed, from both sides. Euro blades also weren't sharpened the same way throughout the entire length, but there was a very practical reason for this. All the cutting is done on the top third of the blade (what we call the 'weak' of the blade). The blade gradually thickened towards the hilt, and the closer to the hilt you get, the less sharp it needs to be because no cutting will be be done with that part. I suspect the Jian was the same. Sharpening blades is hard work, and having to sharpen two edges is double the work, so you give the most attention to the parts that did the most work. Thanks for your valuable contribution. I think you're right: the jian's lack of sharpening on the lower half is also due to the fact that this was not the intended cutting area. 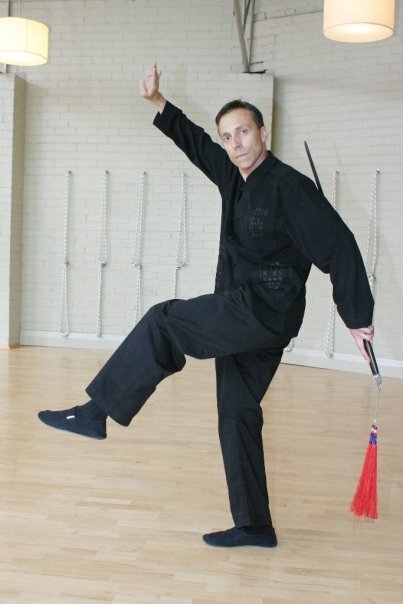 This, combined with the fact that the techniques I've studied use the lower, thicker, portion for parrying means that there would be little benefit in sharpening it. I agree that swords were intended for cutting flesh - not armor. However the European broadsword had to be tough enough to withstand "misses" that collided with armor or your opponent's sword; there would be little point in having a small, delicate weapon in such a heavily armored environment. 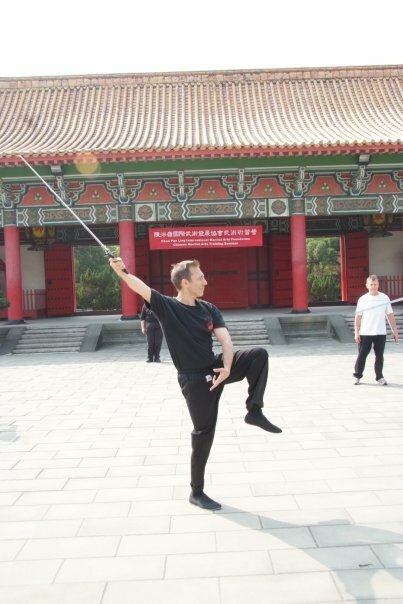 The jian's size and design, and the techniques of the jian as seen in taijiquan etc., merely confirm what is established cultural knowledge in China: that the jian was a civilian defence weapon, not a military one. Thanks again for your contribution! Lethal force is both an idea as well as a training goal/method. I was addressing these points in the context of training goals and methods. This goes back to the proper importance placed on offense vs defense, because it doesn't matter what people's goals should be or what idea they think is better, all that matters is what they do and how long they do it. So do they train what they think they are training, or are they saying they are dealing with lethal force but thinking in a defensive, damage control, fashion? Judging by your previous analysis of these topics Dan, you have willingly gave up emphasis on offensive strategies and methods, and focused on defensive methods and training instead, because you said there was more there to explore. So any lethal force, either received by the defender, or issued by the defender in an attack or counter-attack, is thus restrained by a person's mental conception, its limits and format. So while you did mention lethal force as something ideologically acceptable and as a physical option, I'm much more concerned about the actual methods you choose to deal with this conception instead. This is nothing new. This impacts a person's readiness level, but it also impacts the students that are being taught such things. So I would think people would invest some energy into getting such things correct and addressing all potential issues that might come about. 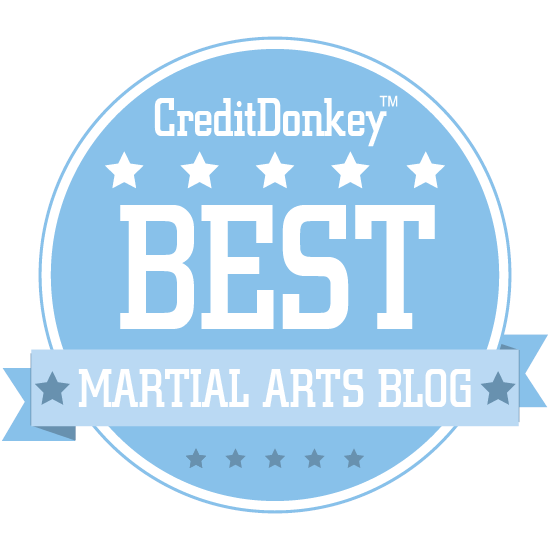 There are many ways to self express oneself in martial arts, the art component, and there are many ways to develop lethal force, issue it, or receive it. The devil is in the details of how that all works out. However, when the only worry people have about attacks are clumsy swings made by people who can't even maintain their own balance, and ignore the lethal damage that can be inflicted from swords, knives, clubs, and bullets, how can they really defend themselves no matter how much time they think about defense and damage control? Personally, I am not concerned with whether people want to focus on offense or defense. That is their training time to use as they see fit, because it will be their life on the line, not me. But in an intellectual context, it's something I think bears a little more discussion than has been the case. Unlike external martial artists, I am not concerned about what techniques "work" or "don't work". The mind must go before the body. And the mind is easily seen from the words martial artists use. Convenient since physical skills are not easily demonstrated on the internet. What I've read of Chinese military history, the straight sword was used as a military weapon in 500 BC, the end of the bronze age, certainly iron weapons were probably the best around then metallurgical wise. Some steel was even present. After a few thousand years of development, it probably did develop into a weapon for gentlemen and citizens, for protection rather than offensive power. Yu Nu was said to be one of the best swordswomen of China, as attested to by the fact that she was the sole victor of a arena style tournament held back then to see who is good enough to be hired for their skills. Back in a day when death and maiming were actually pretty common in such tournaments... what kind of a woman, and what would her skills with a blade have to be, to be the victor of all the other thousands that entered? It's quite understandable how her philosophy and sword methods made it into Chinese gong fu, and was kept and preserved and integrated with open handed methods for hundreds or thousands of years. I've also seen huge German two handers being used like spears to attack charging cavalry. The second hand holds the blade above the hilt, at the unsharpened portion of the blade, and basically uses it like a huge polearm instead of a swinging sword. Much more stable, and can pierce a horse or human straight through without being disarmed. Many people ask about if you could travel back in time, who would you talk to. I'd talk to the master swordsmen and women, fighters above all else, who existed, and ask them their insights on modern day weapons and implements. Miyamoto Musashi. Yu Nue. 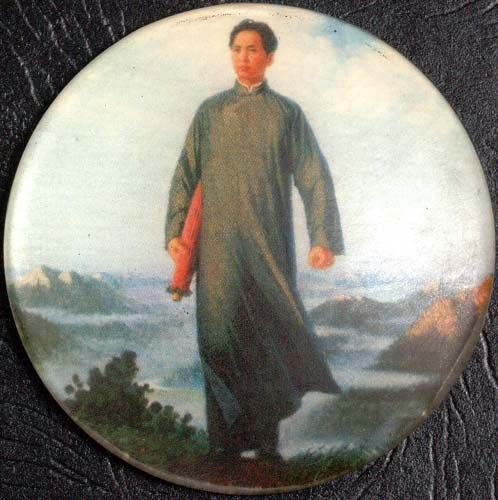 Buddhist/Shaolin grandmaster Ng Mui, creator or developer of Wing Chun. 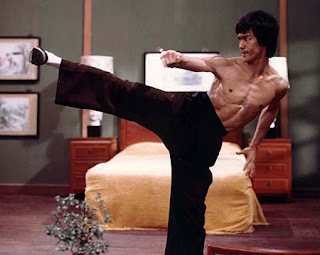 Said to be the best fighter out of the other 5 grandmasters, including Bak Mei. Sun Tzu. First thing I'd probably do is show them how modern metallurgy has improved steel. They will certainly be interested in that. Ymar, I never "gave up emphasis on offensive strategies". To suggest this fundamentally misconceives what I am saying. I'll note that in the future. It does not explain your choice of method and form you used to make previous points though. Clearly I wouldn't have written so many articles, in such exhaustive detail, on this subject unless I felt that they did explain my choice of method or form! Dan, I'm going to have to disagree with you on the effect of armor on the sword shape. My research through SwordBuyersGuide, as well as the program "Deadliest Warrior", which has many issues but weapon testing does not seem to be one of them, show that against metal armor, curved blades come to naught. Only the high pressure coming from a pierce with a straight blade manages to go through. Again I point to "Deadliest Warrior" which is filled with many, many tests against various types of armor, made of different material with different types of swords. Although, that does not necessarily apply to the jian itself, which, as you pointed out, is quite short, thin, etc. I wouldn't disagree with you Mohammad. My point wasn't that straight swords were designed to cut through armour, but that they were adapted to deal with by armour. The straight edge meant that a "point" was going to be more effective in thrusting through armour if need be. But far more relevantly, the double straight edge could find its way to cut through gaps in the armour, eg. under the armpits or at the elbows and knees etc. A curved cutting sword is far less useful against armour because it isn't very good at pointing and its one curved edge, while good at cutting exposed flesh, isn't really optimal for exploiting gaps in armour for cutting there. For starters, you only have one edge and hence if a cutting opportunity presents itself when your sword blade is facing the wrong way, that opportunity comes to naught. All this presupposes armour when in fact this was really a symptom of an "arms/armour escalation" during the middle ages in Europe. Otherwise, most pre-firearm battles in history were fought with little to no armour (at least, not of the kind the western knight might have worn). In those battles the sword weapon of choice would have been a cutting one, as this offers the most power for close range cutting. In fact, my research indicates that spears and other long range weapons (eg. projectile ones like bows and arrows) were used to a far higher degree throughout the history of warfare. The sword was just a "back up" when things got nasty. I think you'll find this documentary series enlightening. I've chosen the second part of this episode because it focuses on a battle where, rather uniquely, the sword played the biggest role (due to fog and other factors leading the armies to close quarters). The rest of the series is also worth a watch and the presenter really knows his stuff. Thanks again for reading and for your support. Oh, yes. I have watched that video, since I've subscribed to your YouTube channel. It is quite an incredible documentary, one of the best I've seen on this subject. I agree with everything you said in your response to my comment. Plus, I looked up Chinese armor, and it tended to not contain much metal at all, signifying that, indeed, a curved blade would be the optimal sword for Chinese battles.